A long-standing sushi restaurant in Uozu. 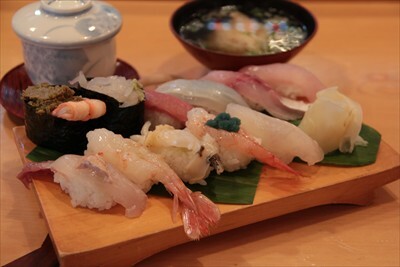 Many different kinds of fish can be obtained at Uozu port. Sushi made from the Kisaragio (an Uozu-brand fish) topped with its liver is absolutely unique in its freshness. Seafood rice bowls are also popular for lunch, and you can enjoy local sake here.